Bollywood to Hollywood actress Priyanka Chopra tells on The Tonight Show why she took her husband Nick Jonas's surname. 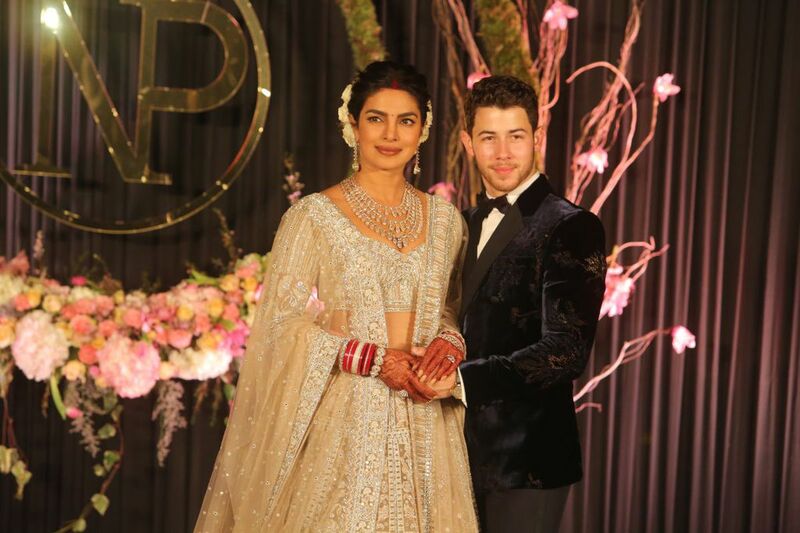 Priyanka Chopra and her husband's Nick Jonas extravagant wedding in both Western and Hindu ceremony held in Jodhpur's Umaid Bhawan Palace still remains as nothing but a true fairytale. Soon after Priyanka walked down the beautiful Umaid Bhawan's aisle in her elegant princess designed Ralph Lauren gown and said 'I do' to Nick, she officially changed her name to Priyanka Chopra Jonas. Chopra, now known as Mrs. Jonas currently busy promoting her upcoming rom-com 'Isn't It Romantic' that also cast the newly-wed Liam Hemsworth and Rebel Wilson, revealed to Jimmy Fallon on his Tonight Show on why she took her husband's surname. The pair both previously affirmed the important role of their faith that plays in their relationship and family on their social media, and as PeeCee who deeply values her Indian traditions and culture, it's logical to her explanation on adding Jonas to her name. The show's host Fallon questioned Chopra if she ever considered changing her name. And our girl always knew the answer to the question. "It's a big deal! I didn't realize it was that much of a big deal until I did it." The Quantico actress who strictly stands for women empowerment and gender equality and seeing women more than someone's wife and girlfriend further provide a more interesting answer. "No, I always wanted to add his name to mine because I feel like we’re becoming family, and I’m a little traditional and old school like that.But I don’t take away my identity. He gets added to who I am." Furthermore, she also continues to tell why she didn't want to have a big lavish wedding first. Chopra, in fact, wanted to get married 'on some private island, away from everything'. But, she reveals the idea to get married in India actually happened to be of her husband Nick. "Why aren’t we doing this in India? Shouldn’t I be taking my bride from her home?" Apparently, despite posting her life celebrations and having fun stories on her social media, Chopra further opened up about everything being hard for her since getting into her married life. The 36 years old star who recently spoke on receiving negative comments on social media tells she struggles in between staying at her New York and LA (Jonas) home, and that both Priyanka and Nick split their time to be together.